I love experimenting with shrimp. There are endless combinations and this crustacean often guarantees one thing–a quick dish can be a reality. This meal took maybe 20 minutes and I am pretty sure anyone would be happy if this was plated in front of them at a dinner party. I did not have a recipe or this dish in mind, I was actually tooling with the shrimp taco direction. All I knew was that I had bought wild shrimp earlier and I was feeling pasta that evening. And so it began…. Whenever I am casually cooking for myself (and not for an event or on set) I rarely go by recipes. It is a little about once you get good at something you can then be casual about it because you have the techniques and the practice. When I starting cooking a lot in my early 20s I would play with flavors and ingredients. Well, point is, I made this by adding a little of this and a little of that. 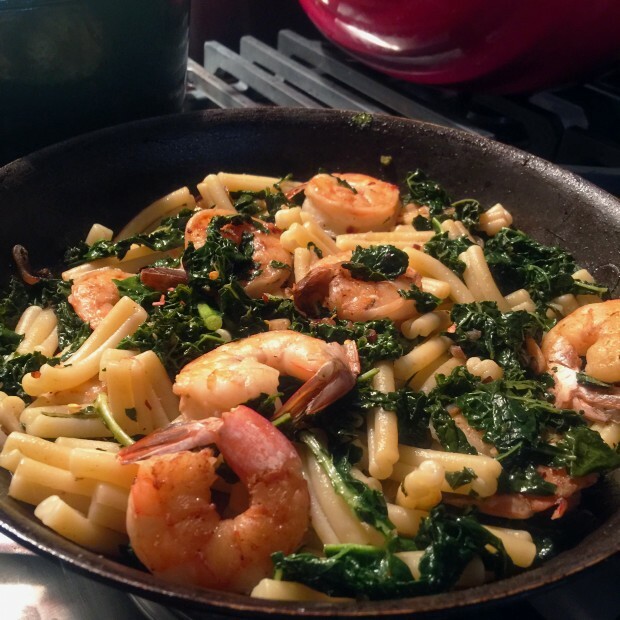 But I was asked by several people to post the recipe so I went back and wrote it down…It is ideal for a quick week night meal or a dish for entertaining. Hope you enjoy! Start with a pot of salted boiling water for the pasta. I used strozzapreti, but use any hearty shape of your choice and cook according the directions on the bag for al dente texture. Heat a large sauté pan, add oil then add the shallots, garlic, anchovies and red pepper flakes. 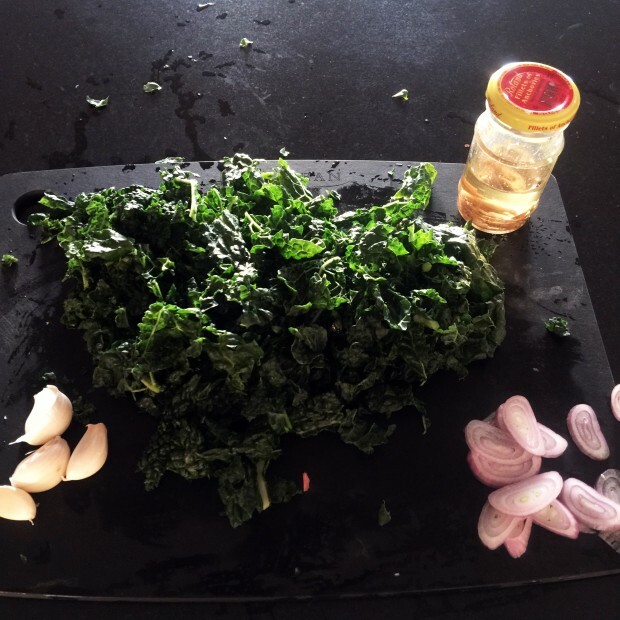 Add the kale and let wilt for a few minutes, deglaze with the vinegar. Cook another minute of two and remove from heat and set aside. 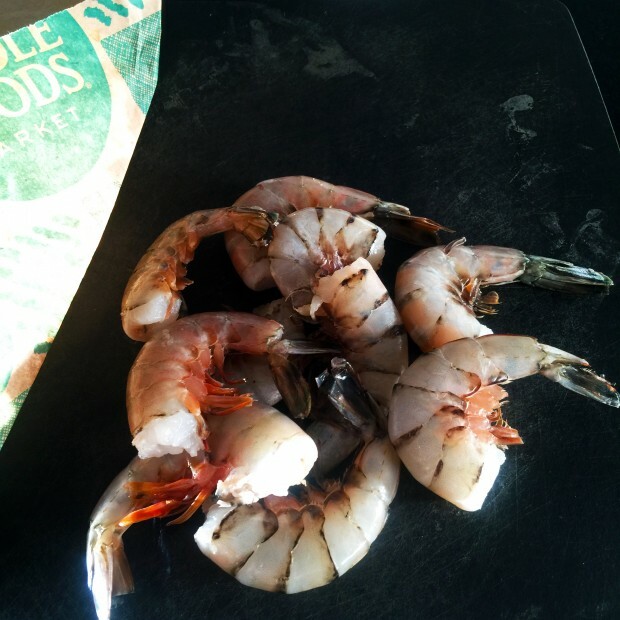 To clean and dried shrimp, season on both sides with salt and pepper. 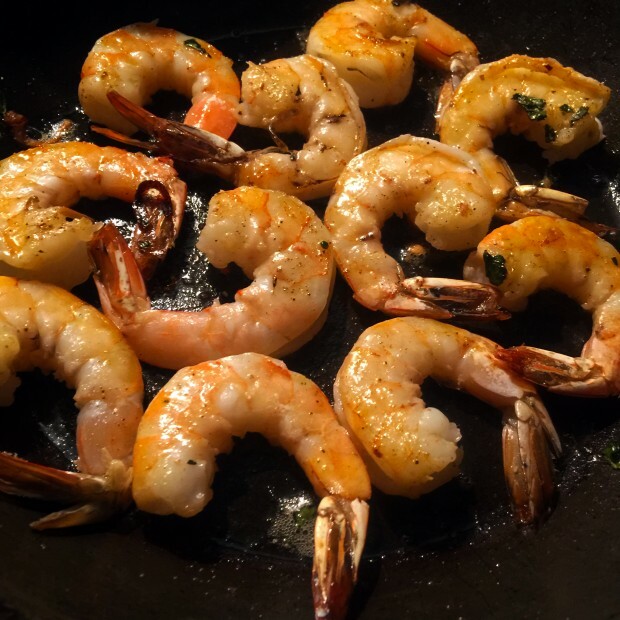 With the same pan, add oil and place your shrimp in a single layer in the pan. Let cook for 2 minutes on each side, until cooked through. Deglaze with the vermouth and cook for a minute or two until most of the liquid has cooked away.